From the amazing Moroccan pancakes with honey or chestnut preserve/paste for breakfast, to the gorgeous refreshing salads with combinations like orange with dates, beetroot with cumin, and the beautiful meat dishes like chicken with olives and preserved lemon and lamb with prunes…I really love Moroccan food…. I love how Moroccans combine sweet fruits with meat and use the most gorgeous spice combinations. I feel its a little like Indian food but without the hassle of long hours of cooking and browning (bhunnoing) onions and masalas. So I really got into it when I got back from there years ago…I got myself the book “The food of Morocco – a food lovers journey”, where I discovered this gorgeous recipe. 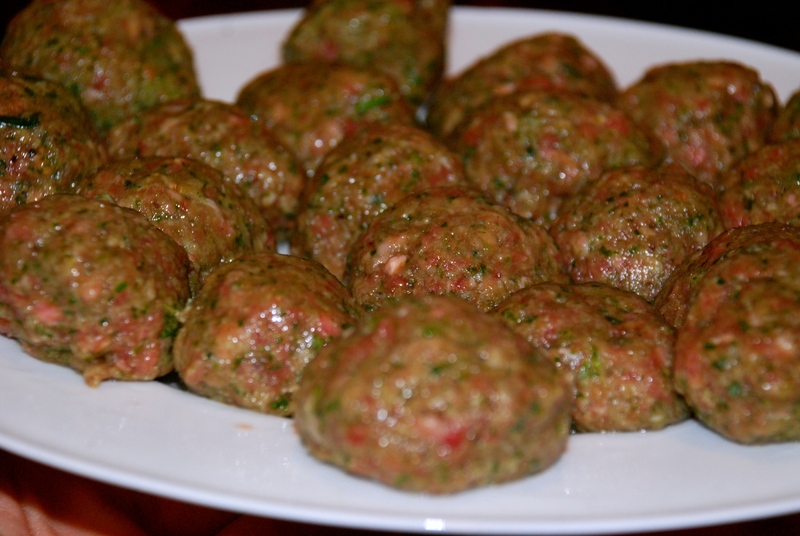 One of my favorite ingredients from Morocco is preserved lemons, it adds a gorgeous zingy flavor to anything and is perfect in these meatballs. 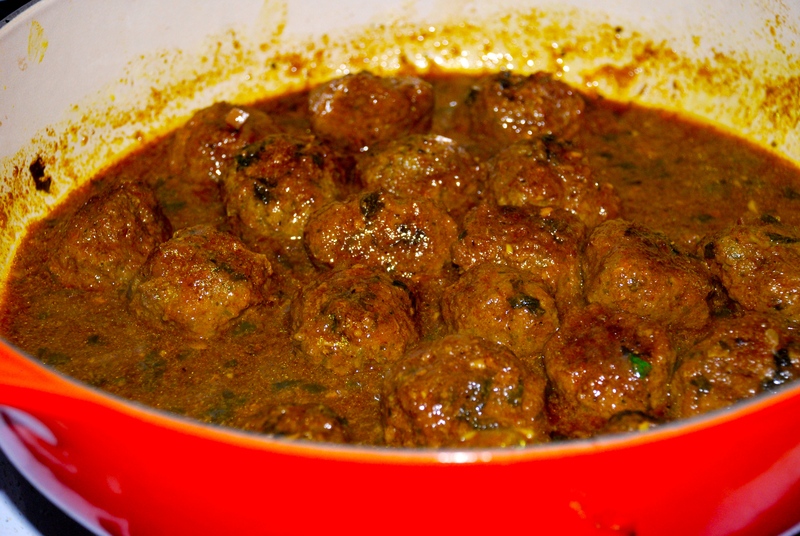 They are so so different to any indian koftas or italian meatballs and so very tasty and relatively fast to make. It is worth noting that you can still make this dish if you don’t have preserved lemons, as the lemon juice does give some lemon flavor. I love to serve this with a nice Moroccan salad and warm pitta breads, and a good harissa as a condiment if you like a touch of spice. 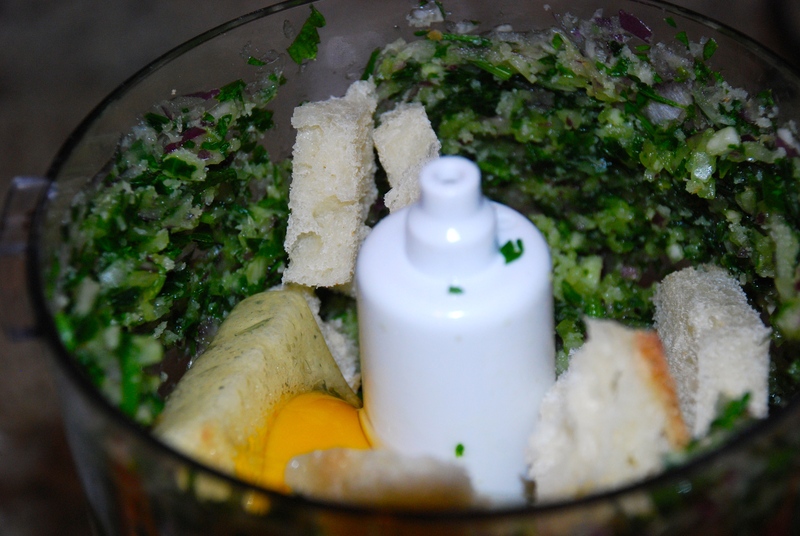 Put the onions and parsley in the food processor bowl and process until finely chopped. Tear the bread into pieces, add to the bowl with the egg and process briefly. Add the meat, cumin, paprika, black pepper and 1 teaspoon salt and process to thick paste, scraping down the side of the bowl occasionally. Alternatively grate the onion, chop the parsley, crumb the bread and add to the mince in a bowl with the egg, spices and seasoning. Knead until paste-like in consistency. With moistened hands, shape the mixture into walnut-sized balls and place them on a tray. Cover and refrigerate until required. To make the herb and lemon sauce, heat the butter or oil in a saucepan and add the onion. Cook over low heat for 8 minutes until softened. 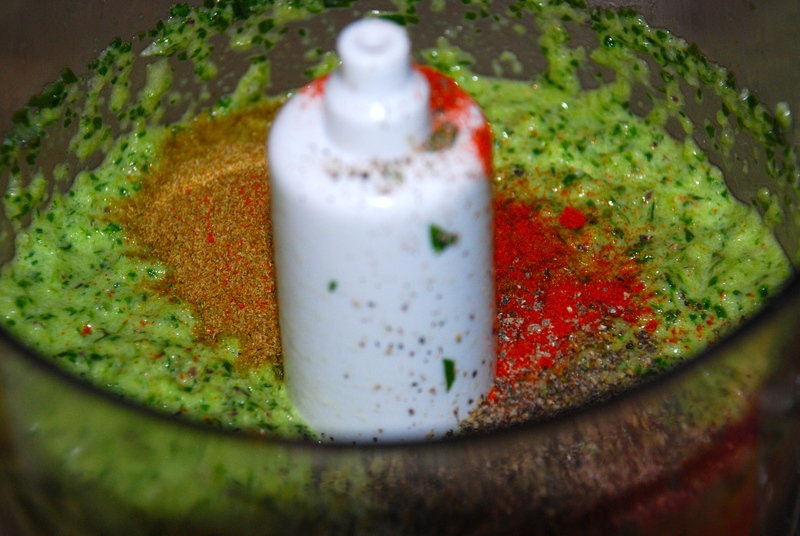 Add the paprika, turmeric, cumin and chili or cayenne pepper and cook, stirring for 1 minute. 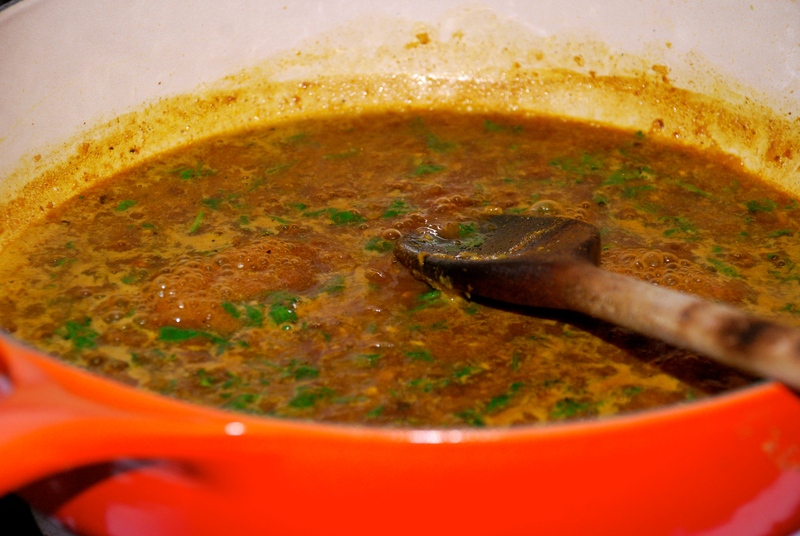 Add the stock and coriander and bring to the boil. 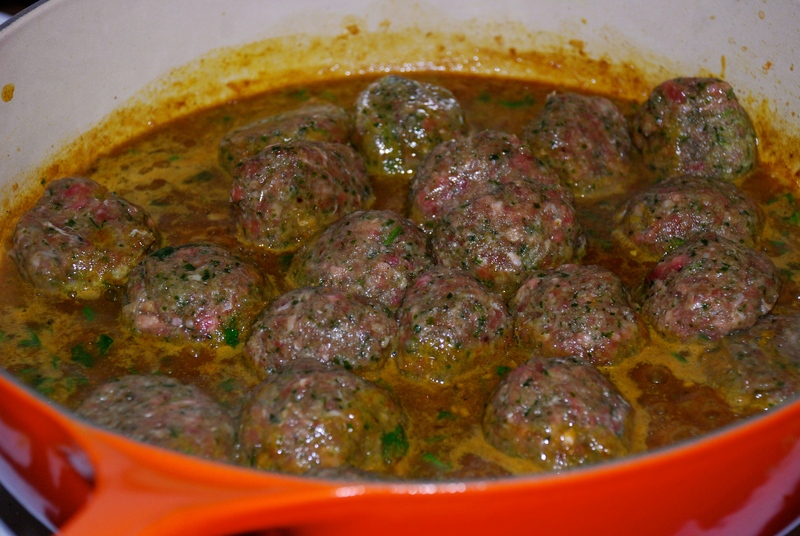 Add the meatballs, shaking the pan so that they settle into the sauce. Cover and simmer for 45 minutes. Add most of the parsley and the lemon juice and season if necessary. Return to the simmer for 2 minutes. If using preserved lemon, rinse well under running water, remove and discard the pulp and membrane and cut the rind into strips. Add to the meatballs. 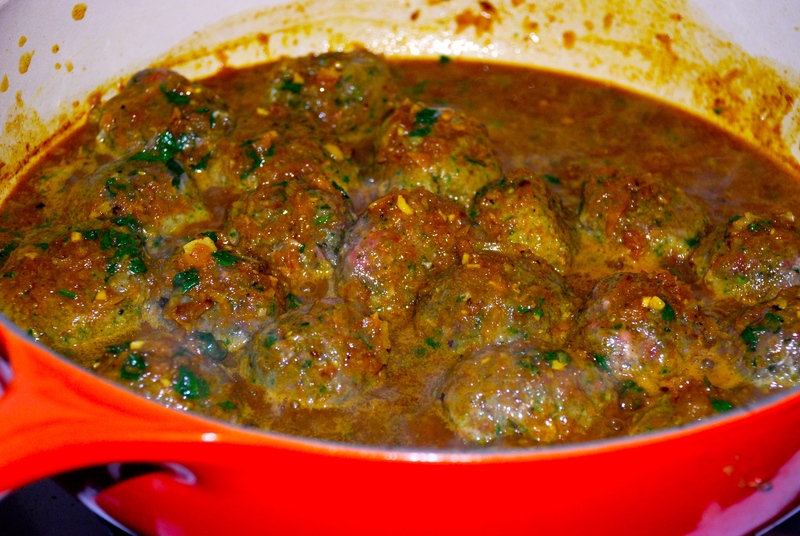 Transfer to a tagine or bowl, scatter with the remaining parsley and serve with crusty bread or pittas.